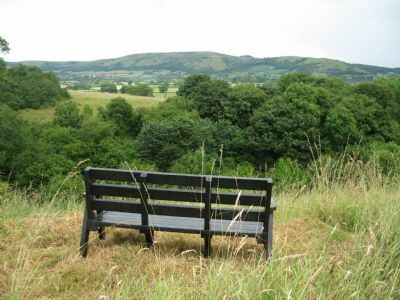 In 2007, an agreement was signed with Somerset County Council that the village would take over the maintenance of a field in The Coombe. The field contains a number of rare wild plants, and the bank is covered in primroses in the spring. A water supply was provided, and new gates fitted, to allow planned grazing and cutting. 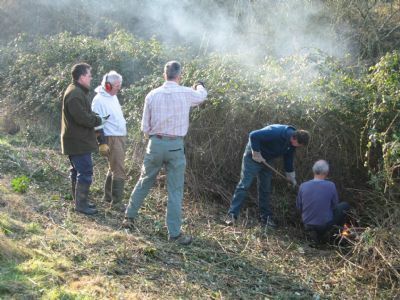 Villagers got together to clear brambles and scrub which had become overgrown because the field had not been grazed for some time. 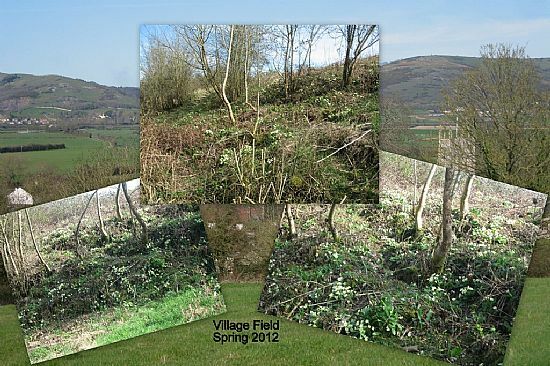 Extracts from the Field Report by the County Surveyor give details of the flora and fauna to be found in the field (now with identifying photographs). At present there is no maintenance team. All queries to the Parish Clerk. A select few gathered for a picnic on Men's Finals Day. Murray had been knocked out so no nerves there; and the weather was excellent, for a change. Thanks to the guys who cut a section of the field around the bench. Click on the Bench to see photos of the 2009 Village Picnic. Click here to see photos. 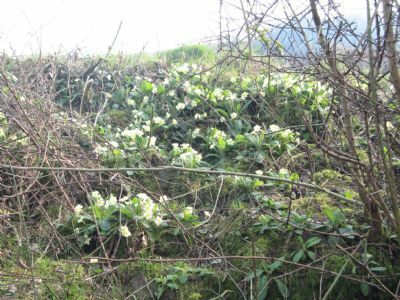 The display of primroses, oxlips, and violets is wonderful - see if you can spot any other wild flowers. Click on the links below to see photographs of previous years.